El Best Western Plus Bolivar Hotel & Suites se encuentra en el centro de Bolivar. Venga y disfrute de las mejores atracciónes turísticas cerca de nuestro hotel. Precios bajos garantizados y ofertas exclusivas. Conozca de primera mano por qué los hoteles Best Western Plus están ampliamente galardonados en los segmentos de viajes de placer y de negocios. Desde nuestro elegante y moderno diseño hasta nuestras suites recién renovadas y unas instalaciones de primera calidad, los huéspedes podrán disfrutar de un alto nivel de confort y de una excelente relación calidad-precio durante su estancia en el hotel de más reciente apertura de Bolivar, Missouri, el Best Western Plus Bolivar Hotel & Suites. Disfrute de unas amplias habitaciones con espacio suficiente para trabajar o para divertirse y equipadas con amplios escritorios y con zonas de trabajo, mininevera, microondas y con exclusivos productos de tocador. ¿Necesita más espacio? Realice una mejora de categoría de habitación a una de nuestras minisuites con sofá cama. ¿Aún no es suficiente? Reserve una de nuestras exclusivas suites con cocina completa, sala de estar y dormitorio independiente. Nuestro hotel cuenta, además, con un flexible espacio para reuniones perfecto para celebrar su próximo evento corporativo, social o deportivo. El Best Western Plus Bolivar Hotel & Suites ofrece con orgullo un desayuno completo gratuito todas las mañanas, acceso gratuito a Internet de alta velocidad, piscina cubierta, gimnasio, centro de negocios y servicio de lavandería. Situado a solo unos minutos de la autopista 13, nuestro hotel goza de una céntrica ubicación en el distrito empresarial de Bolivar a solo unos pasos de tiendas y restaurantes y a una manzana al sur de la Universidad Baptista Southwest. 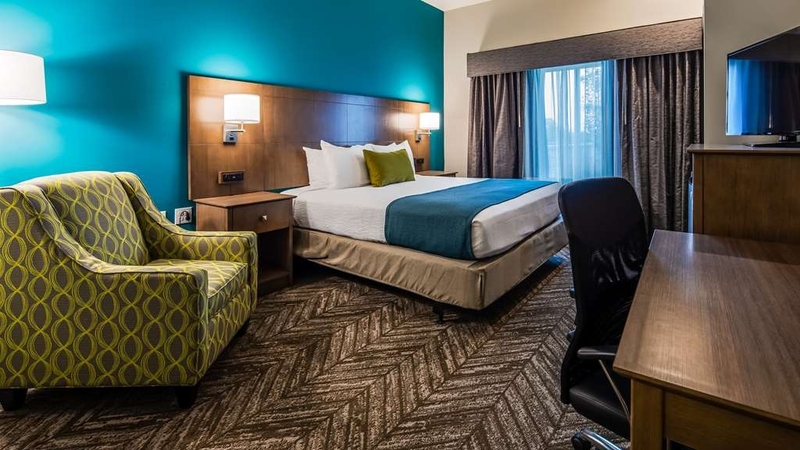 Así que, tanto si se encuentra de visita en uno de los hermosos lagos de Missouri como si viaja por negocios o simplemente está de paso, el Best Western Plus Bolivar Hotel & Suites le ofrece el espacio idóneo para su estancia. 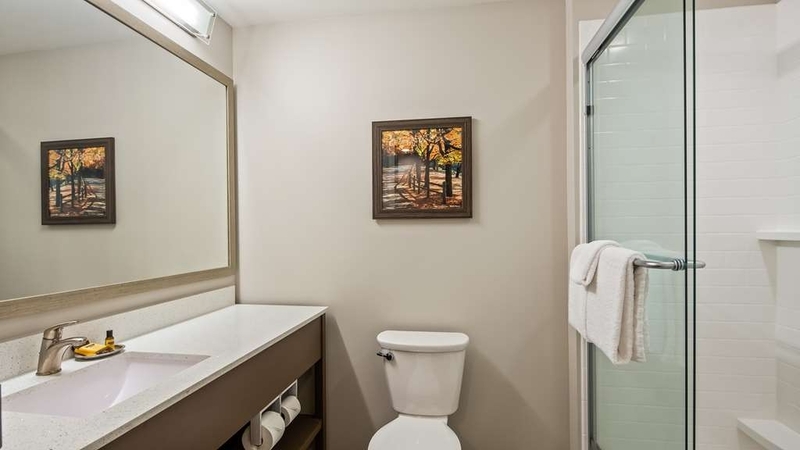 "Terrific new place to stay while in the Bolivar area!" 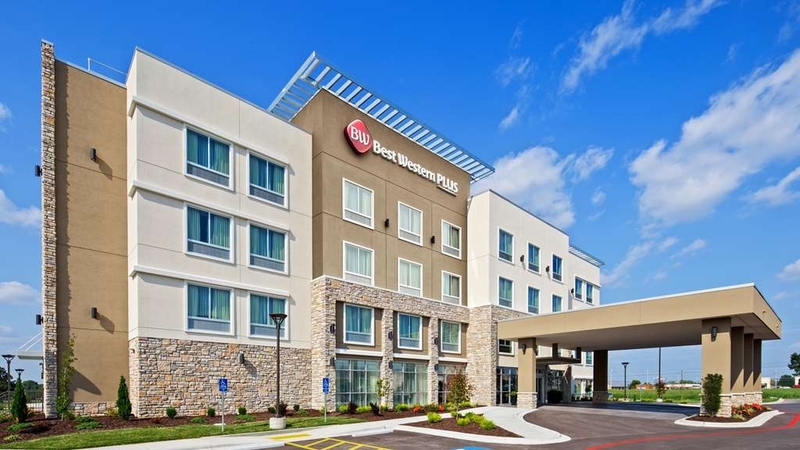 If you're in the Bolivar area, the newly-constructed Best Western Plus is a great reason to stay for a little while. 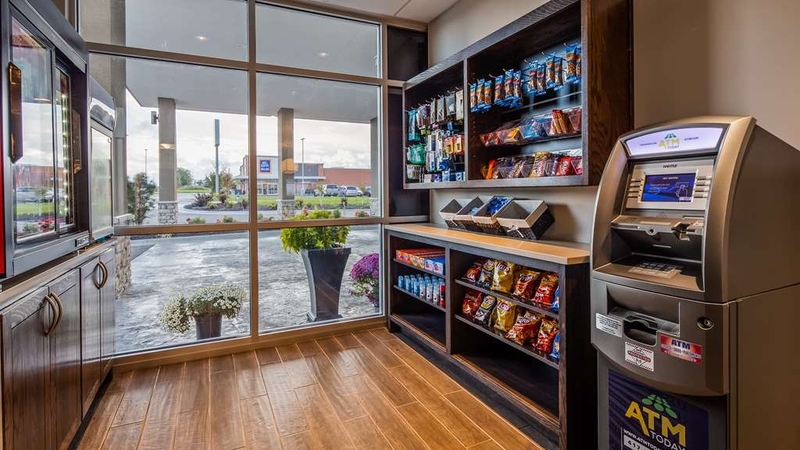 Right across the street from the new Aldi grocery store, Best Western Plus is also located near several other businesses--including the Jasmine Chinese Restaurant and other restaurants and fast food favorites. Southwest Baptist University is located a few convenient miles north. 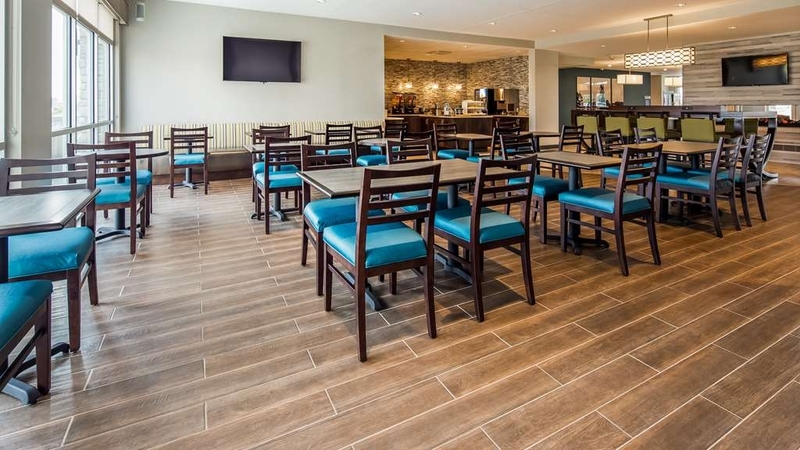 Alumni will find comfy spots to sit, converse, and reminisce, as the Best Western Plus provides a spacious lobby and a patio area (complete with fire pit!). And don't forget to pack a swimsuit and workout clothes, as a gym and swimming pool are located on the premises. 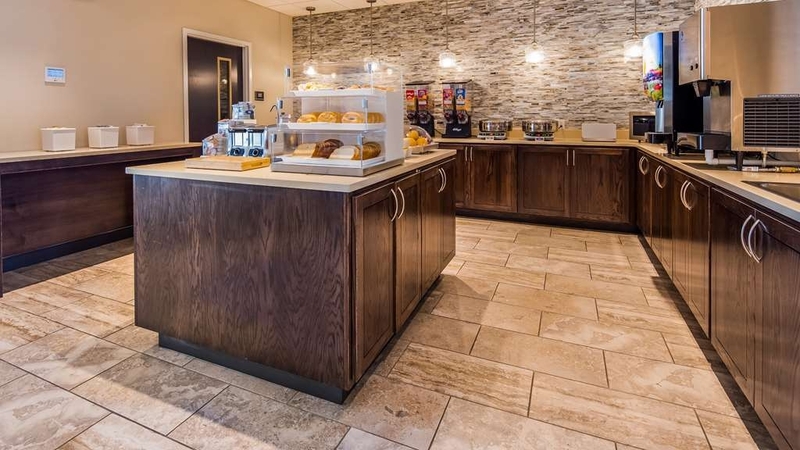 Other reasons to stay at Best Western include a fresh continental breakfast each morning with hot items, pastries, and well-stocked beverage and coffee stations; clean and comfortable rooms; pet-friendly accommodations; and discounts for SBU alumni and visitors. Robin, Awesome review and rating, we appreciate the detail in your review. We are located in a great area and have a lot to offer. We all can't wait for the weather to change and we will be able to use the patio!!! Truly Excited! 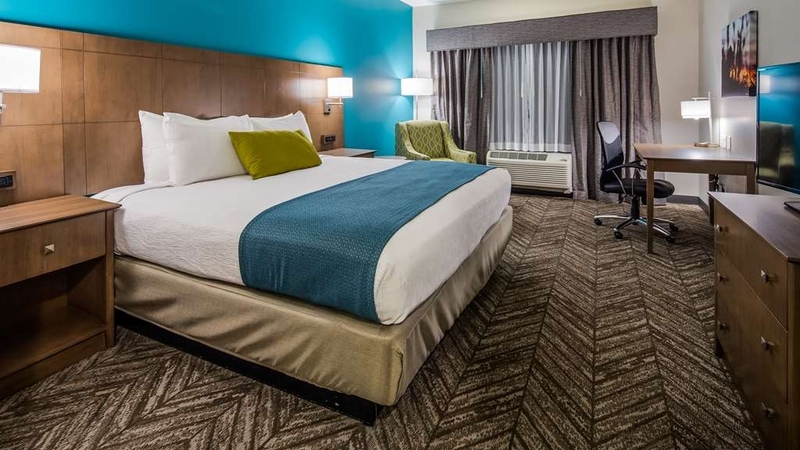 We appreciate you choosing Best Western Plus Bolivar for your lodging needs. Great breakfast. Hotel is very nice as it's new. Had one problem which the manager Anita addressed which was awesome of her to do. We will be staying here in the future as well as recommending other family to stay when visiting. Only 30 mins from Springfield attractions. Walmart and Aldi are right next door for any needs. Great new BW+. Clean, inviting, modern, new in ‘18. Good free breakfast, nice pool/workout center. Very friendly staff. 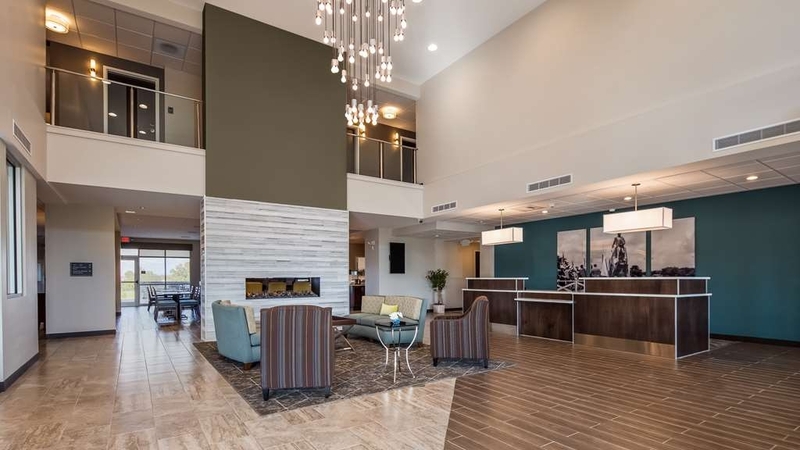 Very homey and inviting lobby. Even has electric car charging stations and some covered parking. We will definitely stay here when in the area next year. Valued Guest We truly appreciate you taking the time to review our hotel. Our breakfast is great with biscuits and gravy, scrambled eggs, Belgium waffles, bacon, sausage, and more. Our electric car charging stations just let you know that we are here to meet the needs of all of our guest. 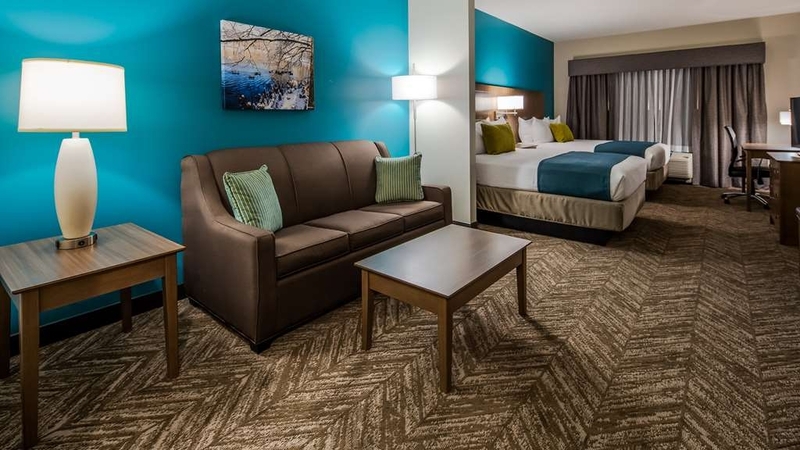 Thank you for choosing Best Western Plus Bolivar for you lodging needs! The hotel is great - clean, nice, beautiful lobby, good breakfast, and so very close to the college campus. It is extremely convenient for us. 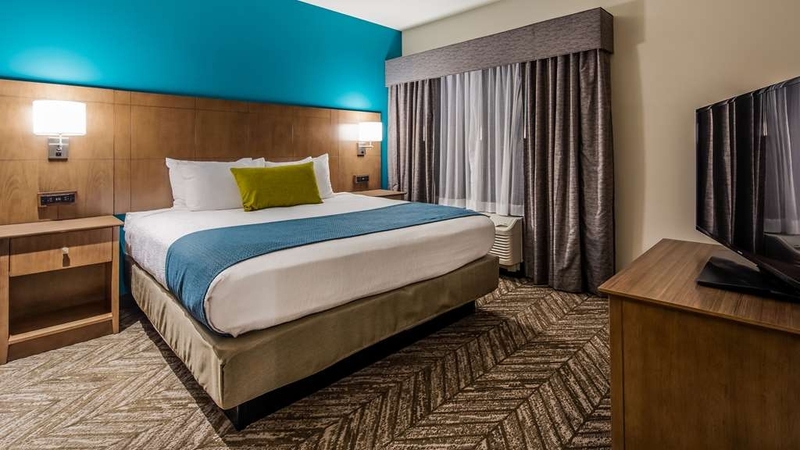 Rooms are very comfortable and available in a variety of options. This is our Bolivar hotel! Thank you for the great review, we really appreciate you taking the time to share your experience. Super clean and very nice staff . Breakfast area very clean . Rooms were clean and had extra pillows waiting in the room . Made my reservations over the phone so were all checked in when we arrived .. The kids all liked the wifi and I liked the 2 tvs Roll out sofa was very confy too! The staff is very professional and friendly. The rooms are spacious and very clean. I recommend this hotel very highly. Excellent experience and will return in the future. High quality hotel with qualified staff. "The BEST Best Western Ever!" This is a fairly new property and our first time to stay here. Everything is top notch. The staff were all over the top trying to be sure that everything was perfect. We were so impressed. We visited Bolivar for a 50th Anniversary Celebration, and since several guests were staying at this hotel, we asked if it would be okay to gather in the common area off the lobby after our dinner. No problem. It was lovely. We brought our own refreshments and happily extended our celebration with about 15 people. Room was large and comfortable. Good value for the price. Hello Alice, Wow! what a great review. All of us at Best Western Plus Bolivar appreciate the kind words. We do have a great staff and each and everyone of them appreciate you. If you are ever in the area again, stop by and see us! We all appreciate your business, Safe Travels! The service was great, right from the get go. Staff was very helpful and accommodating. The lobby was very inviting and clean. The rooms were beautiful with plenty of room for our son's pack n play with space to spare. Overall a great experience. Hello crystalbade, We appreciate your great review. We are so glad we exceeded your expectations. Your review ensures that we are delivering top notch hospitality. We hope to see you again soon! For your next visit we do have board games in our lobby to keep your whole family entertained. Safe travels and thank you for your loytalty to Best Western and our property The Best Western Plus Bolivar Hotel and Suites. 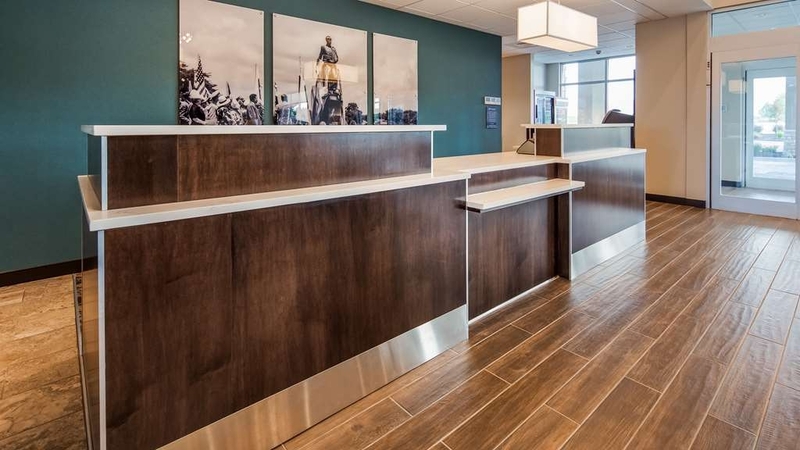 "Exceptional facility -- excellent value"
This is a quality built hotel with several perks. There are several covered parking spots and even ones with plug-ins for electric cars. The staff were unusually friendly; I even received a smile from the receptionist before I came through the glass entry doors! Check in and check out was very professional and helpful. The decor is very nice and attractive. The bed was very comfortable and the bathroom had a full-sized shower. We only stayed for one night as we were traveling through. The rate was very reasonable. We most certainly would stay there again if the opportunity presents itself!! Dear Pactola, Thank you so much for your review. We are so glad we exceeded your expectations. We hope the rest of your trip went well. If you are able to join us again on your way through please be sure to ask our "local travel experts" at the front desk for fun things to do. 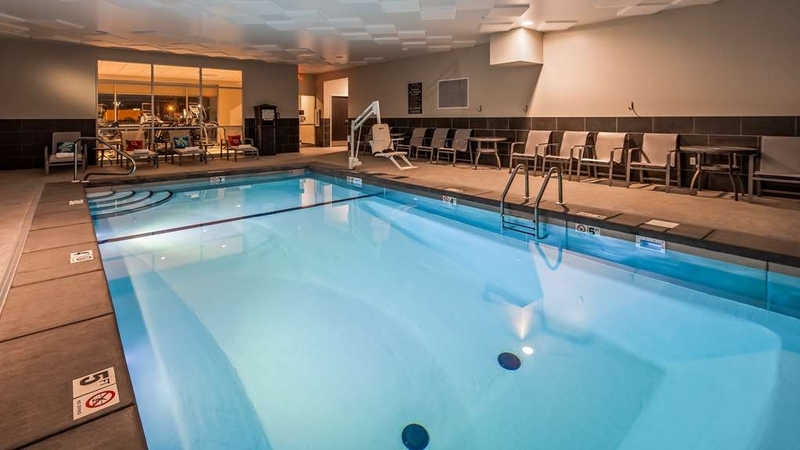 We hope you can also enjoy our indoor pool while you are here as well. We appreciate your loyalty to Best Western!! "New facility - Excellent service"
As of October 2018, this facility is less than 6 months old. As one would expect in a new facility, everything is in good working order. The hotel is very nice, furnishings are more upscale than other hotels I have stayed at. Staff is very friendly and make you feel as if you are at home. Hello hockeyhound66, Thank you for your review. We are glad that you found your stay to be enjoyable. We hop you will stay with us again should you come back our way. If you can return I always recommend our heated indoor pool and our patio with firepit. If there is anything we can do to make your stay even better don't hesitate to reach out to our staff at anytime. We are happy to accomodate. 417.326.0188. This was a very nice place to stay, especially in a small town. The staff was especially friendly. The room was very nice and the bed was comfortable. Everything was new, clean and fresh. The only negative was the staff was having trouble keeping food items replenished during breakfast, and the pancake machine was broken both mornings that I ate breakfast. Even so, there were many selections to choose from, so this wasn't a hardship. Hello Dougemail, Thank you for your review. We appreciate your feedback and we are glad that your stay was enjoyable. I want to take this time to apologize for any inconvenience you had at breakfast. We are looking at ways to maximize efficiency and service. Our pancake machine did break but we do have a replacement in!! We are also offering waffles as a back up should this happen again. Thank you for your feedback and we look forward to seeing you again. Safe Travels!! Staff is friendly and outgoing. Very clean and comfortable hotel!!! The breakfast was ok so if you have a large group make sure you notify the staff. The patio is awesome and the lobby is a great sopt to hang out. Hello Shanwhite2018, Thank you for your review. We appreciate your feedback. We are using your comment on breakfast to look at our offerings and see what changes we can make to maximize service and offerings. We hope you have the opportunity to come back. 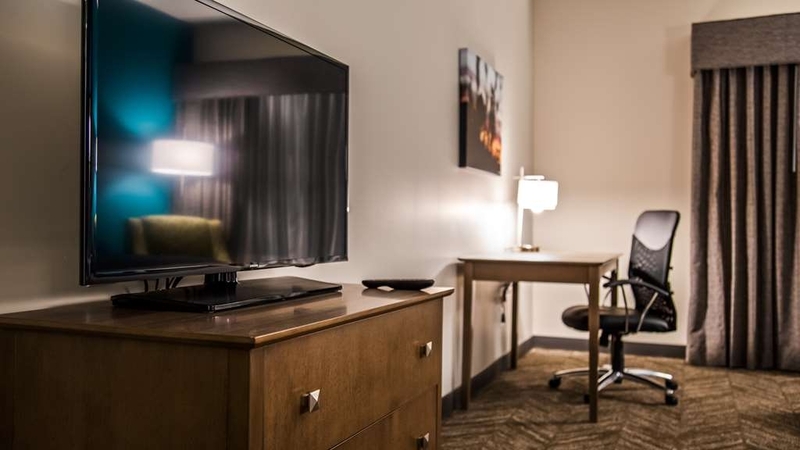 Feel free to call the hotel directly at 417.326.0188 and we will make sure your needs are taken care of. Thank you again for your time with us and your review! Safe Travels ahead! Great, brand new hotel. 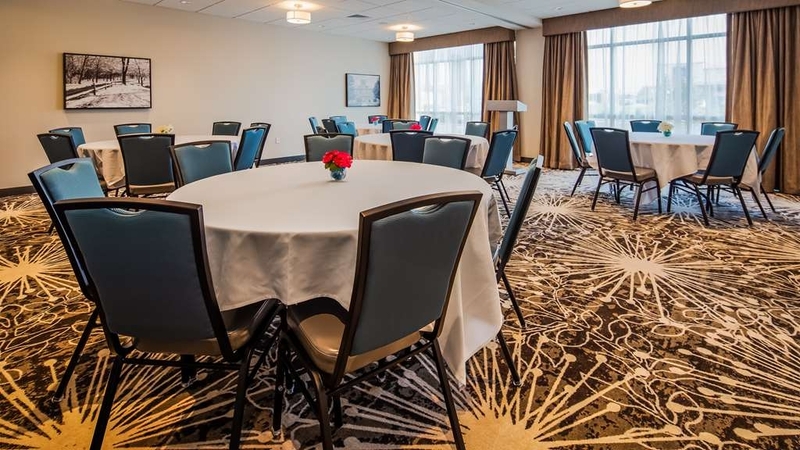 Nicely decorated, very polite staff, lovely lobby area, professional service staff and plenty of parking. The location was wonderful. Very close to the college campus. Comfortable room. Hi Paul M, Thank you for your review. 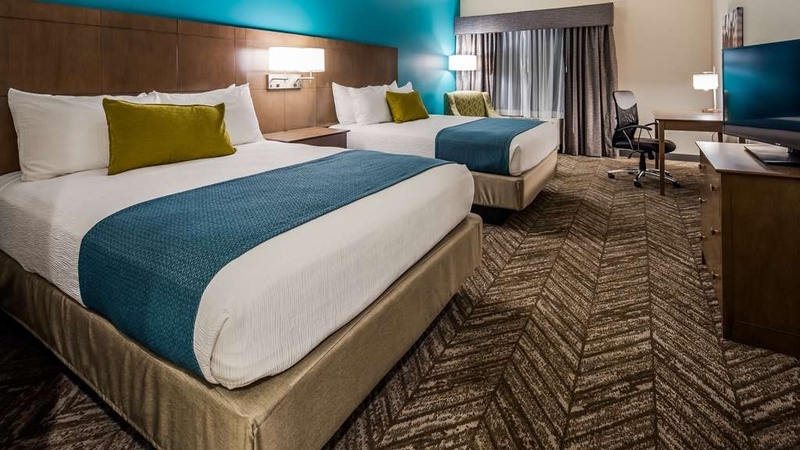 We strive to offer the best in hospitality. 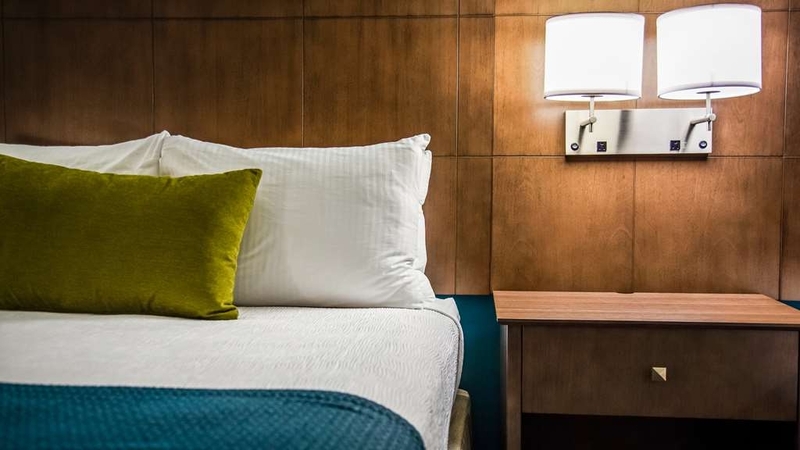 Our staff delights in your comfort while here at the Best Western Plus Bolivar Hotel and Suites. 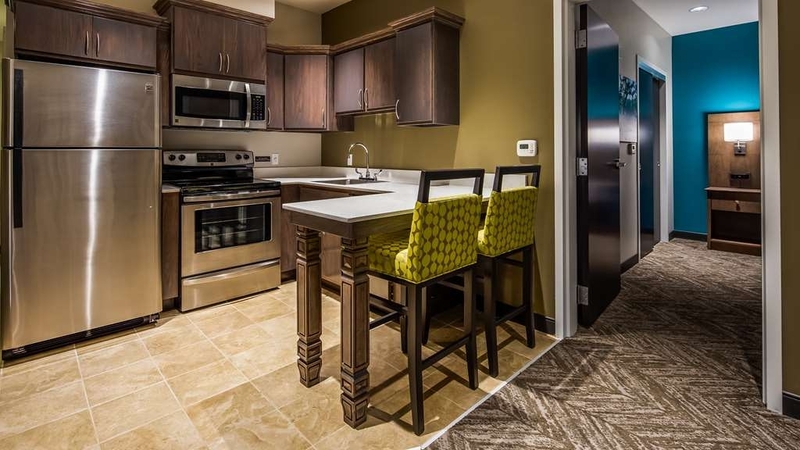 We hope you were able to take advantage of our Indoor Pool, Fitness Center, and Patio with Firepit. We hope to see you again! Go SBU! I stayed here while my son stayed in a dorm during a college tour. Location could not be closer. Room and building very new, clean and up to date. Breakfast was wonderful and numerous excellent amenities. Would highly recommend if you're visiting SBU. Thank you for your review mrsbankroll. We love to have our Southwest Baptist University families stay with us. 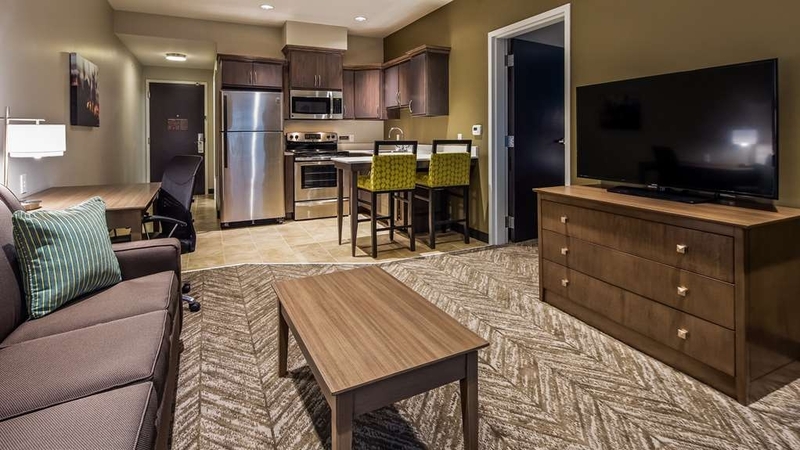 Make sure to call us at 417.326.0188 to book your next stay. We love hearing from our guests. Thank you and safe travels ahead!! It's new & fresh. Whole motel was very clean. Staff was nice & helpful. I was place n a room with a nice view. Location was good. Gym had some nice equipment. Highly recommend to anyone who is in the Bolivar area. Thank you for your review Mary l.. We love to hear from our guests. We are thrilled that you found your stay enjoyable. We hope to see you again soon. 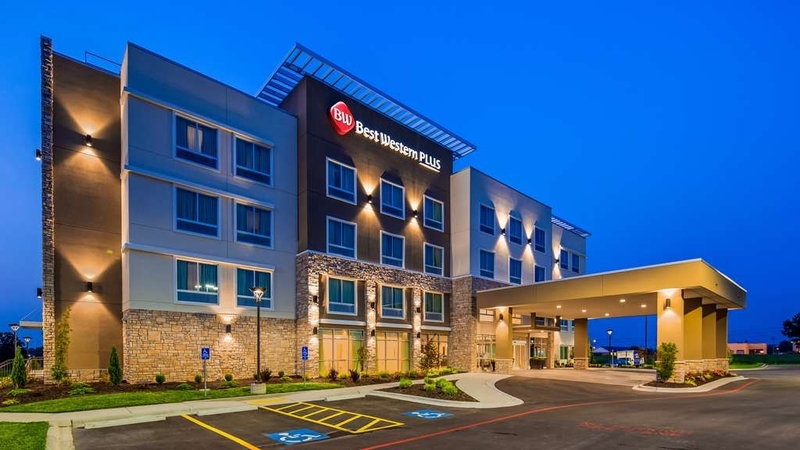 New Best Western is a welcome addition to the Bolivar area. Staff and management are very friendly, and property is clean. Rooms are well appointed, although water pressure in shower is a little low and the air conditioning is extremely loud. Staff also like to turn that off during cleaning, so the room took some time to cool down every night. Otherwise, a good new hotel. Thank you for your review. We are so glad you found our property to your liking. Actually the A/C units are on an automatic system that senses when someone is in the room. If there is no one in the room it shuts off to help reduce electricity and heating/cooling costs. This is a new system and we are double checking to make sure that system is working properly. I did have our Engineer look at that unit to ensure it was working correctly as well. Thank you for letting us know! These efforts along with our solar panels and electric vehicle charging stations are in part our we can be a greener property. We hope you will stay with us again and we value your feedback and dedication to our property and Best Western. Nice room that was clean and well appointed. 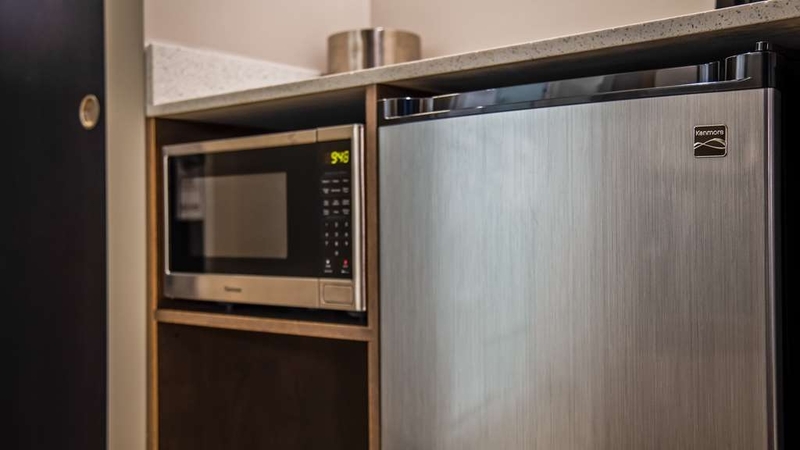 Comfortable beds, wifi, microwave and refrigerator and breakfast not to mention the friendly staff. Good location in the center of Bolivar. Would definitely stay here again. Spouse and I were part of a conference group that stayed 2 nights. This hotel is immaculate from the lobby to the bathrooms. Beds and pillows were very comfortable and all of the TV channels were digital, no elongated fuzzy local news. Breakfast is above adequate, tasty and well managed and kept clean. Very nice exercise equipment at on end away from the busy parts of the hotel. Staff was incredible, helpful, personable and responsive. Can't imagine staying anywhere else. We had to change hotels at the last minute and chose Best Western Plus. The staff was very fast and efficient. They knew we were on our way to work and took amazing care of us. The hotel is beautiful. Clean, modern, and conviently located. 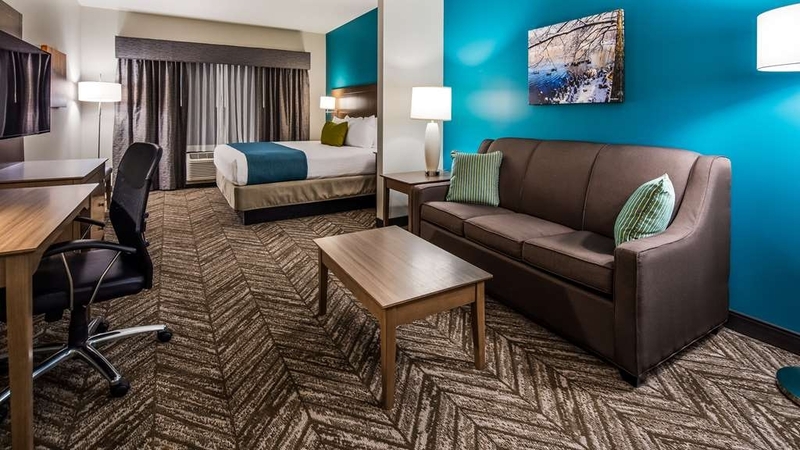 "Nicest Place in Town "
Very nice visit: Newer, Clean, Nice Room, and a courteous staff. 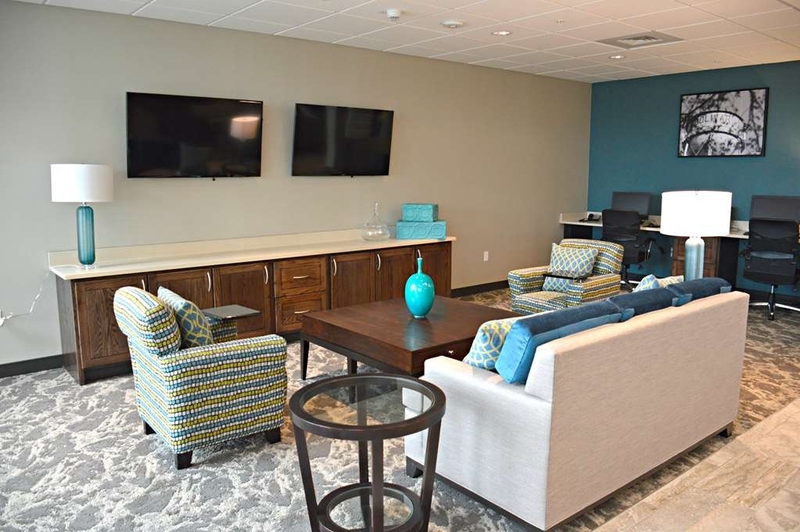 There is an onsite pool and fitness center and a very nice patio common area. Very nicely appointed building would recommend staying here and will afaon if I return. Thank you for your great review. We enjoyed having you with us and hope we can exceed your expectations. 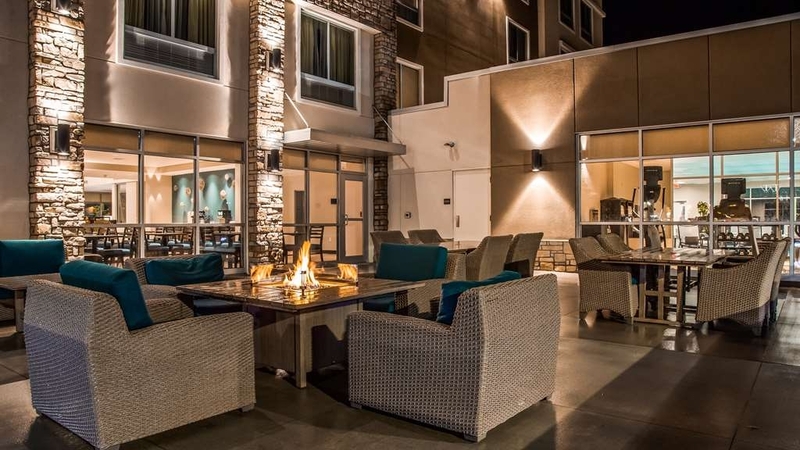 We hope you can enjoy our large patio and fire pit on your next visit here. Thank you so much for your great review. We are glad you were able to take advantage of our free breakfast DirecTV and High speed internet. We hope next time you can splash in our pool. We hope to see you again and wish you safe travels. 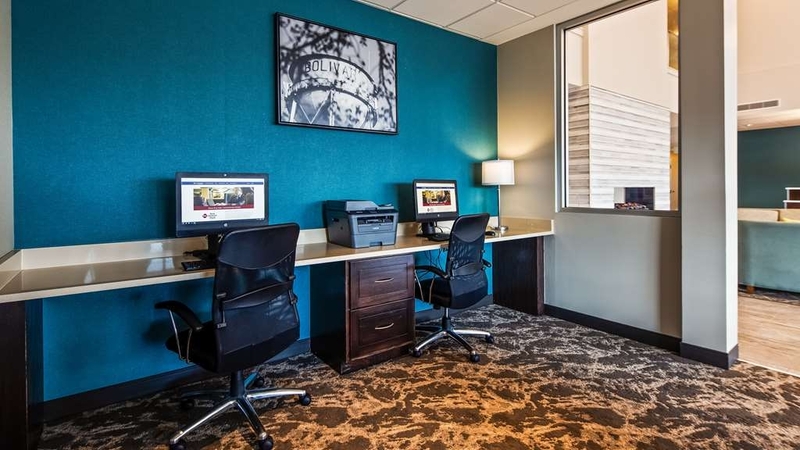 The overall experience exceeded our expectations for a Best Western property. It is new, clean, spacious, staffed with friendly employees, and better appointed than many lodging options with higher prices. The check in clerk was outgoing, took an interest in us, and was helpful recommending dining options. Likewise, the check out clerk was personable, engaged, and invited us back. We did not use the pool, work out room or outdoor patio sitting areas during our stay, but they were they all appeared inviting. The room was spotlessly clean, the bed was very comfortable, and provided a good night's sleep. The only reason I did not give the hotel a five star rating is the complimentary breakfast. The variety was sufficient, but refills were slow in coming, and we found none of the hot items stocked in the middle of the service period. That one issue aside, this hotel offered great value for the price, and if we are ever in Bolivar again, will stay here without hesitation. 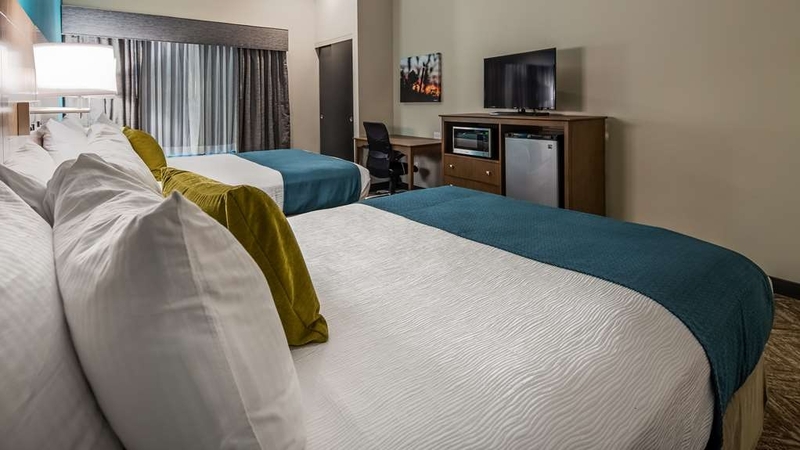 Dear IgetaroundOregon, Thank you so much for your review on TripAdvisor. Although we have exceeded your expectations in many areas we have taken into account your experience in breakfast. We are addressing these areas with the appropriate staff and ensuring that this is an isolated incident. We are also looking at ways to bring more value to our customers like you by adding more varied breakfast options. Your feedback is important to us and we appreciate you taking the time to review us. 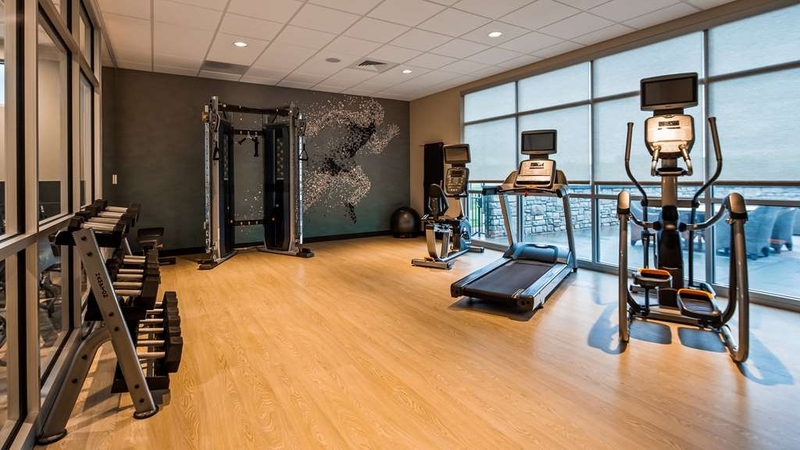 We hope to see you again and we hope you can enjoy our refreshing pool, and state of the art fitness center. If you come back I would be honored to personally meet you and welcome you back . Dear Royalsfan1616, Thank you for your review. We are thrilled that your stay exceeded your expectations. We hope to see you again should your travels take you this way. In addition to our fire pit we hope you will enjoy our refreshing indoor pool. Thank you again and safe travels. This hotel was just built a month or so ago and it is awesome!!! This is the place to stay! 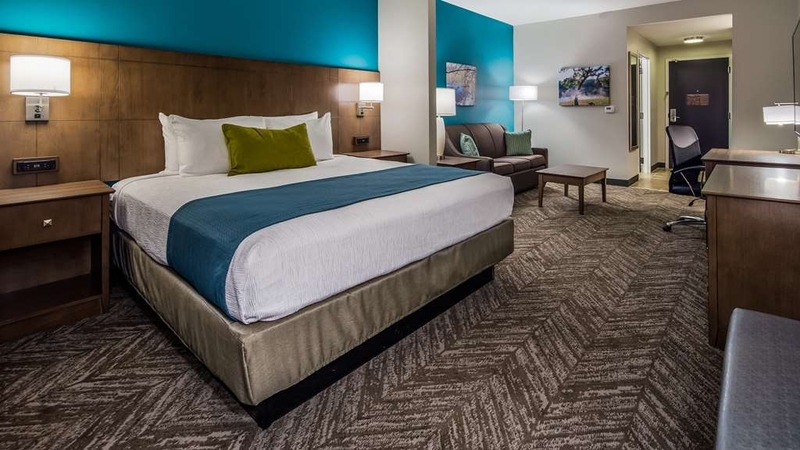 Clean clean clean rooms and friendly staff! Free breakfast! If we are ever in the area again, we will stay here! Dear Tweety215, Thank you for your review of your recent stay with us. We hope to see you again and hope you can enjoy our patio with firepit, indoor swimming pool and Free internet service. Thank you and we wish you safe travels in the future. Stayed here while visiting family in July. We were able to snag a suite, which was well appointed and much like a Homewood Suites. Breakfast was comparable to any budget chain like a Hampton or HIE. Like most new hotels, everything was very nice and the staff were great too. Will definitely stay again. Thank you Illiniwek66 for your review. We are thrilled you enjoyed your stay with us. As we strive for giving our guests the best experience they can have, your feedback is crucial to our success. We look forward to seeing you on your return!! Every aspect of our stay was top notch! The hotel, which had only been open a month at the time of our stay, was immaculate and gorgeously appointed. The bed was perfect...not too soft, and not too firm. 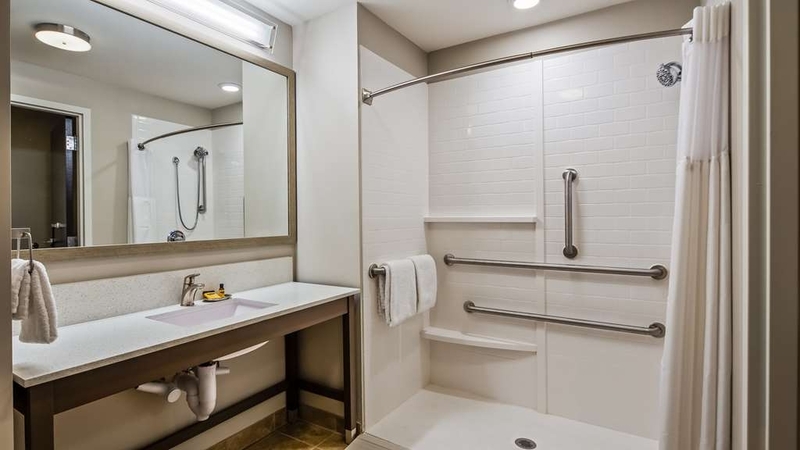 The shower was a thing of beauty with the spotless shower doors in place of the traditional disgusting shower curtains normally used in other hotels. If I absolutely HAD to find something wrong with the hotel, and I really would rather not, it would be that the oatmeal on both mornings was a solid mass of oats in the warming pot. See? Trivial. Literally everything else was amazing! Very new, modern hotel. 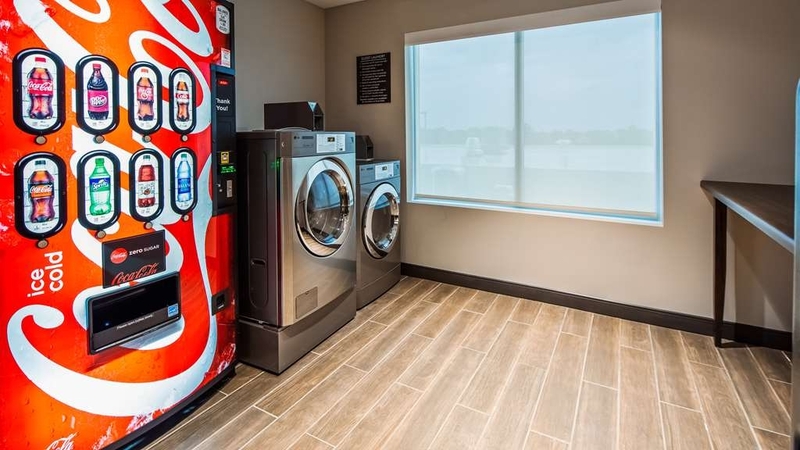 Great amenities, professional staff. Checked in very late without making a reservation, staff was happy to help. Check in was fast, parking lot was well lit and had plenty of space for our truck and trailer. Location was nice, right across the street from a gas station and close to the highway. The mini store was well stocked. Thank you Haleydfoster for your review. We are glad that we have exceeded your expectations. We wish you safe travels OTR and we hope that your travels will bring you back to us! The Aldi's Grocery Store is currently being remodeled and will offer an even better selection. We are also steps away from a Walmart Supercenter. Thanks again we hope to see you again soon. Hotel was very nice and very clean. 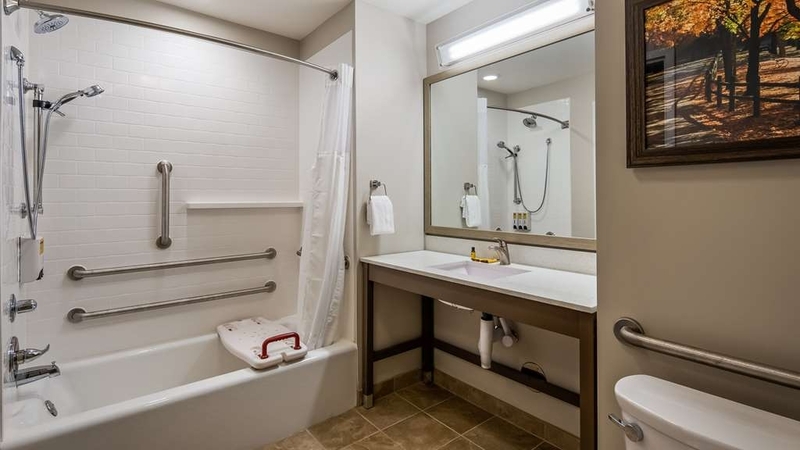 The room was large with a very spacious bathroom. The bed was very comfortable. Lots of channels provided with the TV. The internet and room workstation was good and made my work easier to complete. I enjoyed the breakfast.